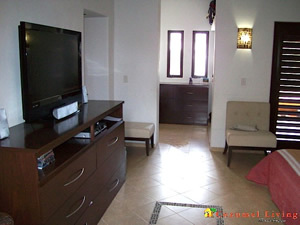 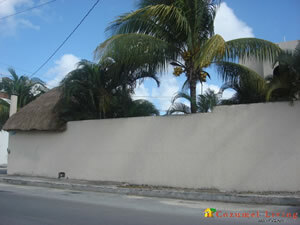 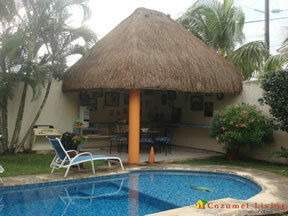 Beautiful 2 level home located in one of the nicest neigborhoods of Cozumel, known locally as Corpus Christi. 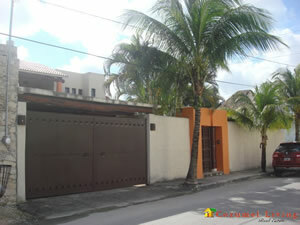 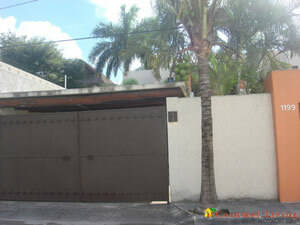 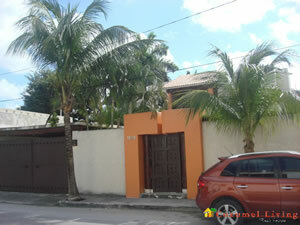 This neighborhood is near to the supermarkets, restaurants, and this property is only one block from the ocean. 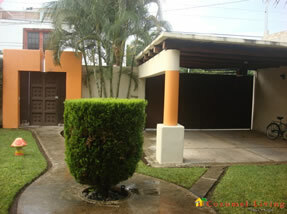 Built on a spacious doublé corner lot , the property is completely walled and gated with ADT security system. 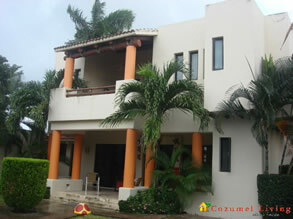 There are 5 total bedrooms and 5 1/2 bathrooms with 3 bedrooms & 2.5 bathrooms in the main house, and a bridge to a palapa covered 1 -bedroom guest suite w/full bath. 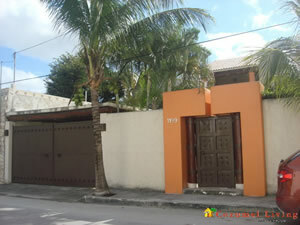 The property has a wide staircase to 2nd level with unique Mayan Marble countertops in half bath, beautiful woodwork and custom cabinetry, and hand laid tiles throughout the house. 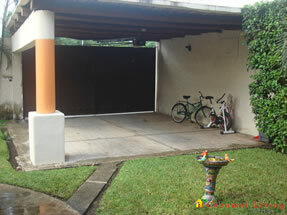 There is a double car covered parking space for two cars. 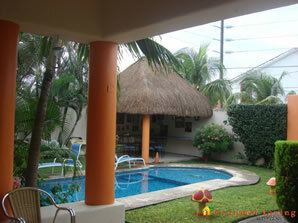 Two cisterns and a well to water the plants.Lovely outdoor living space with palapa covered outdoor kitchen with dining/sink/bar/BBQ area, tiled pool with turtle design and a shallow area . 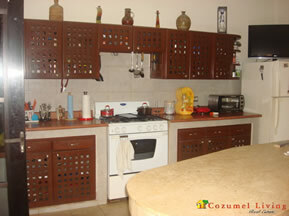 The house was built in 2005-2006 and has been expertly maintained and cared for. 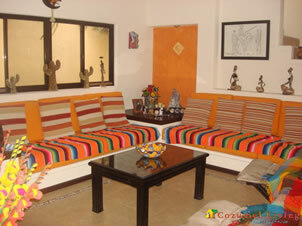 UNFURNISHED but built in couches that only require cushions.